Have you heard of golden milk? Well, if you haven’t, it is this wonderfully delicious and healing beverage, filled with tasty ingredients that are antioxidant, tonifying, anti-inflammatory, and immune boosting. 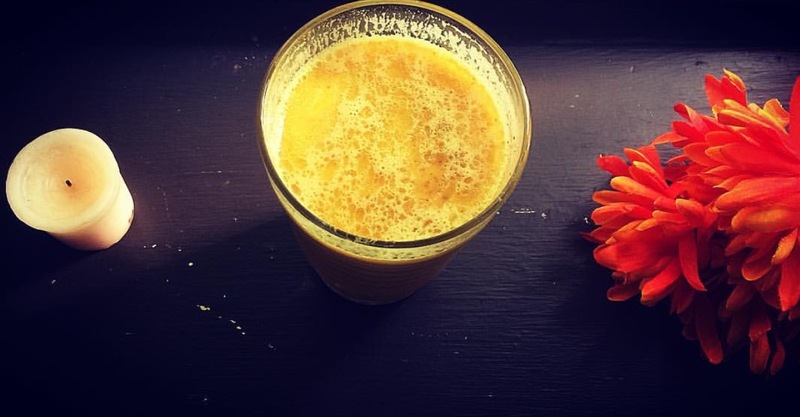 Golden milk features several superfoods, but the main star is turmeric, which is what gives this drink its beautiful, rich, and vibrant yellow color. Turmeric’s main constituent is curcumin, which is a deeply powerful anti-inflammatory. With that said, you can imagine what this drink good be for! Since it is an anti-inflammatory, this drink can be used medicinally to help treat various autoimmune conditions (psoriasis, arthritis, and lupus for example). This drink can help decrease chronic pain, treat allergies, and help induce a balanced non-inflammatory state, which is the basic foundation for health! Dash of cinnamon- Cinnamon is great for the gut, as it relieves gas and bloating. It is also a digestive stimulant, and since the gut helps us with our immunity, cinnamon doubles up as an immune booster. Dash of black pepper-Black pepper is more than just a kitchen staple for simple seasoning. Black pepper, like honey, is also a digestive stimulant and carminative, so it will amplify the gut healing and immunity boosting actions. Dash of star anise- This is a great herb, not only for its powerful flavor, but for its medicinal actions as well. Star anise is a great anti-microbial and anti-oxidant. It is very tonifying and nourishing, from a Chinese medicine perspective as well. Add all ingredients to a blender, and blend! You can treat yourself to this drink as often as you’d like. Added to a healthy regimen that we can custom create together, this drink will be a really nice addition to your health regime. Let me know how you like this recipe below! *Medical Disclaimer: Naika, the author of this blog will be a Naturopathic Physician and Acupuncturist as of June 2017. Please do not take this information as medical advice, without consulting your licensed health-care practitioner.